The greater-Sacramento region is an excellent place for local libations. Within the region, the fast-growing Barrel District of Rancho Cordova is quickly outpacing other neighborhoods as the area’s next big hub for enjoying great beer and craft cocktails. The Barrel District, an approximately 2-mile long corridor of industrial buildings that includes six breweries and two distilleries, has locals and visitors alike falling in love with the Rancho Cordova artisan-alcohol scene. Even though it’s the premier neighborhood for unique spirits and quality brews, the Barrel District is still off-the-beaten-path. It’s also easy to access, which makes it an excellent destination to visit with friends, an adventurous stop for out-of-town visitors, and even a bar-hopping date night. The Sacramento area’s robust tradition of brewing that goes back to the Gold Rush days. Over the last several years the city and its surrounding areas have revitalized its craft breweries and local distilleries. The boom of the Barrel District cements this area as a premier farm-to-fork foodie and craft-drink destination. With so many craft drinking establishments—and more on the way—it’s a thrilling place to visit and knock back a few cold ones. Whether you prefer a hoppy IPA, a distinguished artisan cocktail, a lighter blonde beer, or a whiskey on the rocks, if you like craft alcoholic beverages the Barrel District has something you’ll enjoy. 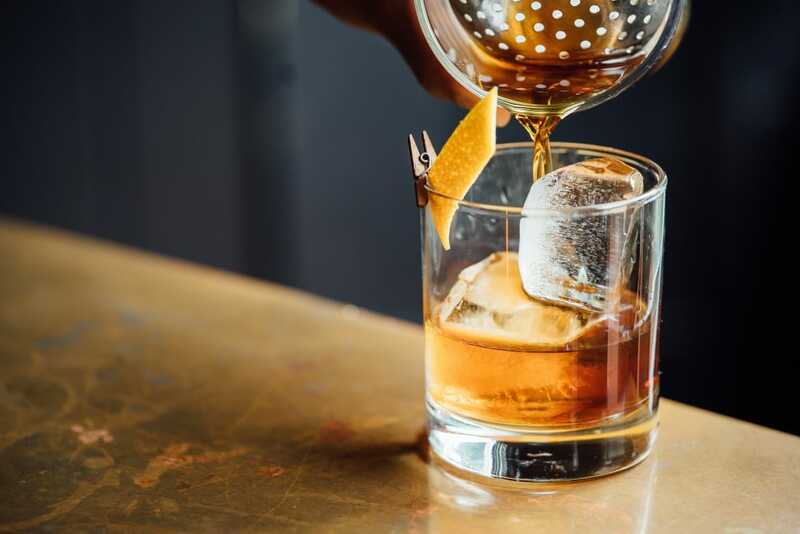 Enjoy a craft cocktail at either the Gold River Distillery or the J.J. Pfister Distilling Company in Rancho Cordova. There are two distilleries in the Barrel District: Gold River Distillery and J.J. Pfister Distilling Company. Gold River was the first legal distillery in Sacramento County to open up after Prohibition, and it pays homage to that legacy of that time by honoring the riverboat captains who smuggled booze into the area in the 1920s with their line of Wheel House spirits. Gold River’s lineup of alcohol includes gin, vodka, absinthe verte, and California bourbon, all available for sampling within the Barrel District. At the tasting room, you can sample a Gold River spirit straight or with any number of mixers. While Gold River’s spirits celebrate the heyday of speakeasies, the story behind J.J. Pfister Distilling celebrates the American Dream. J.J. Pfister was born in Switzerland in 1844 and came to America to start a high-end knitwear company. Years later in 2015, his great-grandson and great-great-grandson start a distillery and name the business in honor of their family patriarch. Their product line of vodkas, whiskeys, bourbons, and brandies are all organic. J.J. Pfister also offers distillery tours, which are informative, fun, and will give you a new appreciation for how your favorite spirits are made. Six craft breweries in the Barrel District make it a fun place for a pub crawl. The selection of craft breweries in the Barrel District runs deep: As the local beer scene grows, so do your options. There’s something for every kind of beer drinker in the Barrel District, so it’s easy to plan a pub crawl. Fort Rock Brewing is a great place to start your tour of the Barrel District. Started by two sisters, their friend from high school, and their three respective spouses, Fork Rock is the kind of place that makes everyone feel part of the family. To satisfy the cravings of any hop heads out there, their beer line-up is particularly notable for their seven different IPAs on tap. If you love catching up on the latest beer trend, Fork Rock has a fantastic hazy East Coast-style IPA called the Hazy Hop Goblin. Give it a try and see what all the hazy hop hype is all about. From there, make your way to Claimstake Brewing, a place for libations with a name that tips its hat to the wild-west heritage of Northern California. This establishment specializes in small batches, meaning that you never know what you are going to get when you walk in, but you can be assured it will be tasty. Its loyal following loves the stout and IPA, but since its tap list changes weekly, you often don’t know what you will have to choose from until you show up, which is half the fun. 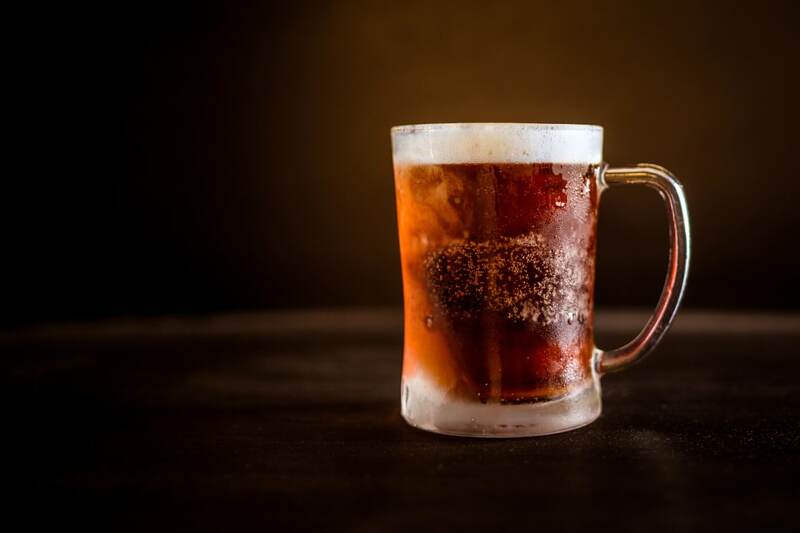 Old Hangtown Beer Works is the next brewery that you will come to, and its largest draw is the award-winning and easily drinkable ales and lagers. If you aren’t crazy about trendy IPAs, Saisons, or the like, and just want a good old-fashioned beer that tastes like beer, then this is your brewery. Return customers also rave about the food, the staff, and the atmosphere. The folks behind Thin Line Brewing, the next brewery on the tour, believe that a life well lived is life with a cold beer in hand. They only operate two kegs at a time and are what is known as a nano brewery. Don’t let the tiny size of this brewery fool you. These brewers know how to pack their beers with flavor and finesse. Seasonal brews, like the Light-Duty Berliner Sour and the 40 on the Beach Pineapple Saison stand out from the crowd. The brewery also supports emergency responders. That involvement with the local community goes a long way in endearing them to its favorite customers. Bonus! Well-behaved dogs are welcome on leashes inside the brewery. In 2010 the Ol’ Republic opened in the historic Gold Country town of Nevada City. This widely recognized and rapidly growing brewery recently added a 3,600- square-foot space in the Barrel District where its loyal following can eat, drink, and play bocce ball on indoor courts. Its beer list features a diverse listing of brews, including everything from lagers to saisons to IPAs to altbiers to an imperial chocolate oatmeal stout aged in tequila barrels. Highlights on the menu include the Dead Canary, a Dortmund Export Lager, and Clouds of Jupiter, a Modern America IPA. Burning Barrel is the most recent brewery to open in Rancho Cordova. According to its founders, Burning Barrel is “driven to push the boundaries of what beer is today and set the standard for what is to come.” So, expect to find fresh twists on classic styles and some creative combinations, like its Vanilla Kisses, a porter infused with Madagascar vanilla that features a chocolate aroma. It has a large tasting room and often provides food from local vendors to order as well. With so much to choose from, it's no surprise that the Barrel District is a rising star in the world of craft libations. See for yourself the creative offerings that make this section of Rancho Cordova a must-see destination.